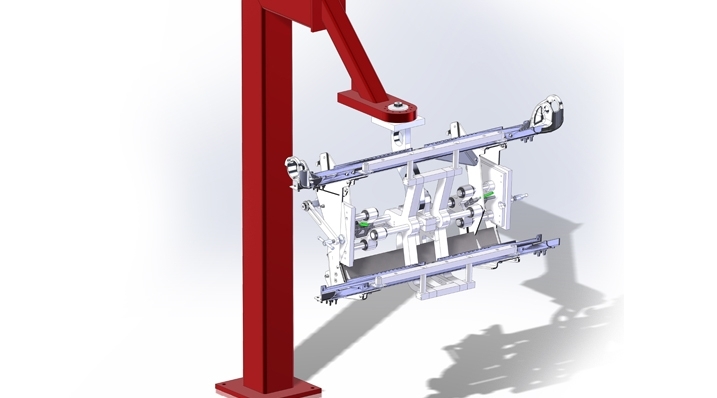 One of our more unique designs, this fixture will collapse and expand with various pull pins to assemble three different products step ladders for a variety of American made semi- trucks. This fixture rotates and swivels in almost any direction to allow the operator, assembler to position the assembly to fasten parts together in minimum time and hold hole spreads to ensure perfect fitment at the trucks final assembly. We are currently working on three more variations. This design can work with many projects and we would be happy to help cut your assembly time down.